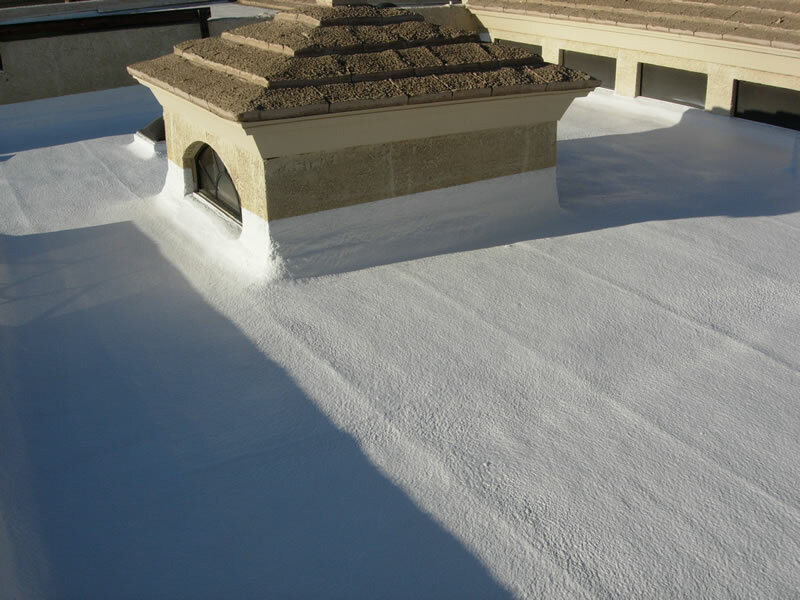 Choosing North Scottsdale foam roofing over other materials is one of the best choices for flat roofs, commercial foam roofs in Scottsdale, industrial roofs, and roofs in general. This offers protection to your home structure from outside elements, besides providing advantages for it. Remember to check and thoroughly inspect your roof from time to time to see if there is anything that needs Scottsdale foam roof repair or replacement. If you don’t want to do this process, you can give us a call to do it for you! This material is environmental friendly because it has a really long lifespan if taken care properly; it will also prevent climate changes to affect your house, saving you the use of healing and cooling electro domestics and helping you save money. Because of these reasons, foam is one of the most cost-effective materials on the market. It will also prevent you from having leaks that can flood your house and damage your furniture; this material does not have any seams when installed and also helps connect pipes and vents in a secure way so you can rest easy after the foam roof installation in Scottsdale is done. Besides lasting a long time, you will also have extra protection from ultra-violet radiation from the sun. Choosing foam over other materials is never a bad choice. Looking for a foam roofer can take some time, but you have to know that it will be totally worth it in the end. First, look if they have a certificate that mentions roofing since nowadays there can be companies that advertise themselves as foam roofers but don’t qualify to do all the installations in the correct way. Having one is a must as it ensures you they are up to date in roof installation practices. Next, you should look for a company that offers insurance, guaranteeing they will do a proper job and leaving you with the best, most durable roof ever. If you want the most perfect roof possible, you will have to find someone with experience, like us. 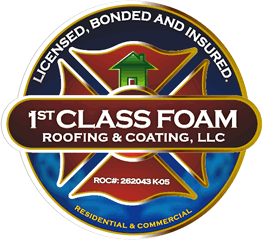 1st Class foam Roofing and Coating, a foam roofer with more than 10 years of experience, is established in in the business of foam roofing, insulation, and coatings company with a team that have superior qualifications in both commercial and residential fields. We always work hard towards excelling our customer’s needs and concerns. You don’t have to worry about knowing everything about roofing. As a customer, you want to have someone that is willing and prepared to every detail and processes of our installation. It’s your money being spent, so you deserve to know all about the product you are acquiring and to have all the time you need to fully understand what will come with your purchase. We are always aiming to have a full customer’s satisfaction. The process of looking for a good foam roofer in Scottsdale, like us, should not take long, but it won’t be done in just a matter of minutes. In Arizona, 1st Class foam Roofing and Coating is ready at all times to be with you every step of the process, assuring that you will receive the most affordable prices of the market. Don’t hesitate to reach us with any question you may have about foam roof installation; we will have all the answers you need.